Last week, I went to Burrito Boyz with some coworkers for lunch. As I read the menu, I noticed that all of the calorie counts were beside each option. When it came time to order, I found myself subconsciously changing my order last minute to something that had less calories than the meal I had originally wanted. As of Jan. 1, the Ontario government has implemented a piece of legislature that requires every chain restaurant, of over 20 locations, to have calories visible on their menus. It appears that the general response to this law has been positive — hold those chain restaurants accountable and whatnot. But after my experience in Burrito Boyz, I wondered what this new law would mean for people who have experiences with eating disorders, or for people that struggle with body esteem issues. I have never experienced an eating disorder, but as a person who spent the majority of her teen years desperately wishing to be thinner, trying whatever week-long cleanse was the latest trend and crying in clothing store change rooms when nothing fit, I wondered, if this new law had a psychological effect on me, how could it affect others? Andrea Lamarre, PhD candidate at the University of Guelph and co-chair of the Waterloo-Wellington Eating Disorders Coalition started a petition in December to repeal this piece of legislature. The petition currently has over 1000 signatures and Lamarre has done over a dozen interviews with various Ontario media outlets. She explained that some people have expressed confusion as to why she is so against the act. Lamarre addressed several different triggers some could experience when faced with calories on menus. “For people who have eating disorders, a lot of the time they’re already aware of the amount of calories in things, but they might be actively trying to avoid looking at calories to make the decisions based on what they feel they need that day, how hungry they are, what are they craving and trying to just be not as focused on food,” she said. A lot of chain restaurants require customers to stand in a line and vocalize their order with other customers in ear shot. For people who have experienced an eating disorder and even for people with body esteem issues, this can be challenging when a number is beside their food choice. Lamarre also explained that this act can be really confronting. If you go to a restaurant that you eat at frequently, only to see that a meal that you’ve eaten several times before has been assigned a number, some people can feel guilt or shame about past meals they’ve eaten. The argument that people should be held accountable for their health or for what they eat just isn’t a strong argument. Lamarre said that there is inconclusive research as to whether laws like this actually leads to behavioural or dietary change. “We know that you can’t shame somebody into the type of health that you’re prescribing onto them. I think that’s something that people miss. They think that if people are held accountable, sometimes they’re going to feel shame and then that shame is somehow seen as a good thing, which I have a lot of issues with because I don’t think that it’s ever a good idea for us to tell somebody, ‘Oh, you should feel bad about your body, your body doesn’t fit the perspective that I have about what a healthy body should look like and therefore, you should just follow my prescription,’” Lamarre said. She explained that you can’t tell how healthy someone is just by looking at their body. People with larger bodies are almost always seen as being unhealthy, but we don’t know their diet; we don’t know their exercise regime; we don’t know elements of their health. Lamarre said that just providing a calorie count is only creating generalizations. At the bottom of each menu, I’ve seen the words, “Most adults should consume 2000 calories a day.” There is no regard for fat, fibre, vitamins, salt, saturated fat, protein, carbs or any of the other components that make up food. 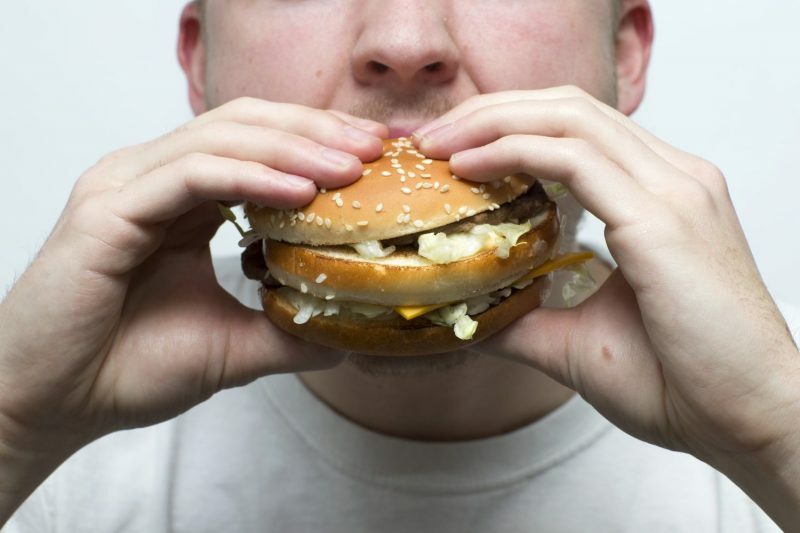 Some people recovering from eating disorders, Lamarre explained, are on high calorie diets. For them, to see that the “average adult” should eat 2000 calories a day could impact their recovery. For Lamarre, the goal of her petition isn’t to get rid of the signage. She realizes that updating the signs did cost business a lot of money. Her main goal would be to provide calories in an alternate form and to stop this piece of legislature from spreading all over Canada. She has already met with Health Canada in Ottawa to provide her perspective. “I’m hopeful that these conversations that I’m having with folks about how it’s one thing to ask people with eating disorders to deal with their triggers, which is the response that I get a lot of the time, but it’s another thing to ask people to do that when we don’t provide adequate treatment particularly in the community context,” she added. Great article Bethany. I personally like the new calorie count as it helps me to make better choices when dining out but I do agree that it can have a negative effect on those with eating disorders as well. his legislation and provide a balanced article is what is wrong with the Cord. This could have been a really cool, balanced piece of journalism, but instead comes across and as a slanted, opinionated slam article. I completely agree with the comment above – some concern over the way calorie counts are published is justified, but to get one source, and not hear the other side of the argument isn’t journalism – it’s just a way to publish the author’s opinion. Wouldn’t this be better suited for the opinion section, given the personal flair added at the beginning? Hi commenters! This article is classified as “Arts & Life” opposed to news because it does have an opinion in it, but also highlights the work that Lamarre is doing. The article is more so about her work with Waterloo-Wellington Eating Disorders Coalition than the law itself. It’s purpose is to look at a specific side of the conversation, opposed to the law as a whole, and ultimately help others generate their own personal opinions about it. Thank you for your engagement with the piece.